Tarlton was tapped by Maryland-based Wexford Science & Technology to construct the core and shell of this research office building in the Bio Research & Development Growth Park at the Donald Danforth Plant Science Center. The 4-story structure was built on a concrete foundation, with structural steel framing and a mixture of masonry, flat metal panel and aluminum curtain wall veneer with custom aluminum sun screens. The ground-level lobby and corridors are highlighted with multi-colored terrazzo flooring, wood wall paneling, and a mixture of drywall, wood panel, arched wood panel, acoustical and open ceilings. 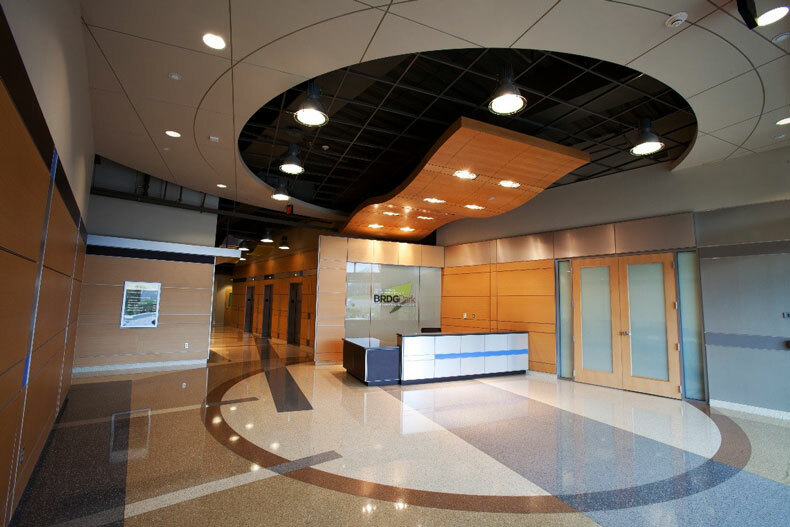 Tarlton also completed fit-outs for multiple tenants in the LEED Gold building, including St. Louis Community College and several emerging life science businesses. The project was the recipient of a Keystone Award for Sustainability from the Associated General Contractors of Missouri.